Born and raised in Montebello, California, Hernandez's family includes two older brothers and a sister. 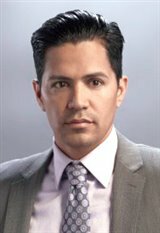 Hernandez started his career in 1998 on the television series Hang Time, playing Antonio Lopez. After working on the show for two years, he landed another role on an MTV series, Undressed. By the new millennium, he started landing parts in feature films. His debut was a co-starring role in the drama, Living the Life (2000). The following year he found himself on the sets of two big budget films, playing a minor role in Joy Ride , followed by a starring role in CRAZY/BEAUTIFUL opposite Kirsten Dunst. He played a supporting role in the hit film The Rookie (2002), starring Dennis Quaid, then played alongside Ice Cube in Torque (2004) and John Travolta in Ladder 49 (2004). Most recently, he starred in Max (2015), and Suicide Squad (2016). In his spare time Hernandez enjoys sports and reading.